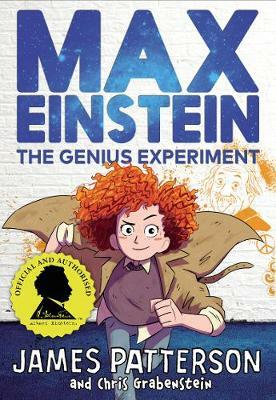 Albert Einstein + James Patterson = A Must Read!Twelve-year-old orphan Max Einstein (like Albert Einstein himself) is not your typical genius. Max hacks the computer system at NYU in order to attend college courses (even though she hates tests), builds homemade inventions to help... read full description below. Albert Einstein + James Patterson = A Must Read! James Patterson has teamed up with the world's most famous genius to entertain, educate and inspire a generation of children - with the first and only kids' book series officially approved by the Albert Einstein Archives. Twelve-year-old orphan Max Einstein (like Albert Einstein himself) is not your typical genius. Max hacks the computer system at NYU in order to attend college courses (even though she hates tests), builds homemade inventions to help the homeless, and plays speed chess in the park. Her not-so-normal life is crazy but predictable until... Max is recruited by a mysterious organisation! Their mission: solve some of the world's toughest problems using science. She's helped by a diverse group of young geniuses from around the globe as they invent new ways to power the farthest reaches of the planet. But that's only if the sinister outfit known only as The Corporation doesn't get to her first... Max Einstein is a heroine for the modern age and will be looked up to by readers for generations to come.